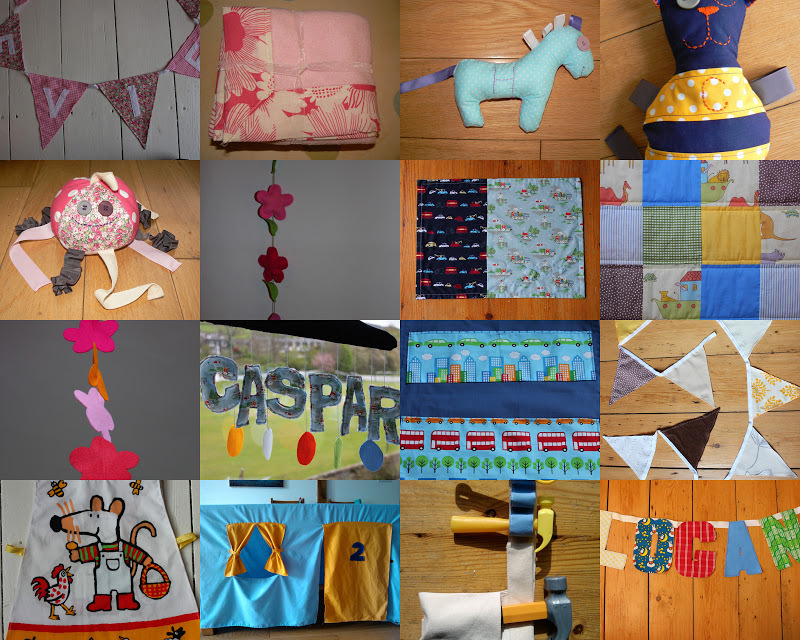 L to R, top row: Evie bunting, pink fleece floor blanket, H is for Horse, C is for Cat. L to R, second row: J is for Jellyfish, flower garden string mobile, transport mat, Noah's Ark quilt. L to R, third row: flower string mobile, Caspar mobile, transport wall pockets, Harriet bunting. L to R, bottom row: Maisy apron, table tent, toddler builder's belt, Logan bunting. L to R, top row: tea-time tote, Louie hook bag, sunshine tote, Letter I totes. L to R, middle row: yellow tote, little pink tote, Letter A tote, Letter O tote. 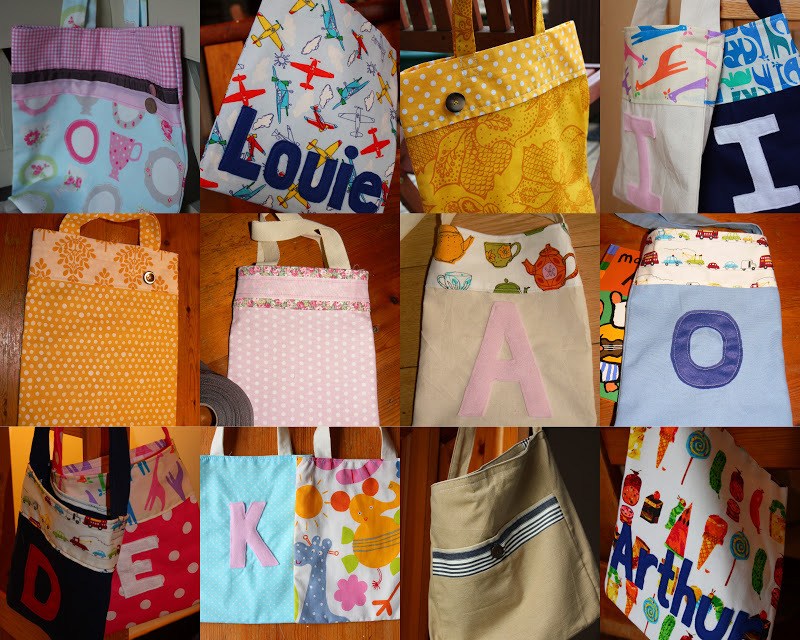 L to R, bottom row: Letters D & E totes, basic totes, seaside messenger bag, Arthur hook bag. 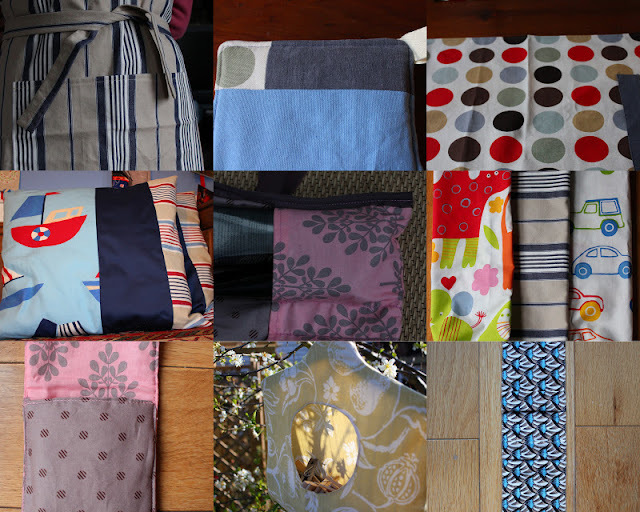 L to R, top row: classic apron, blue pot holder, dotty placemats. L to R, middle row: boating cushions, make-up wrap, plastic bag tidies. L to R, bottom row: lilac camera case, peg bag, chequebook wallet.